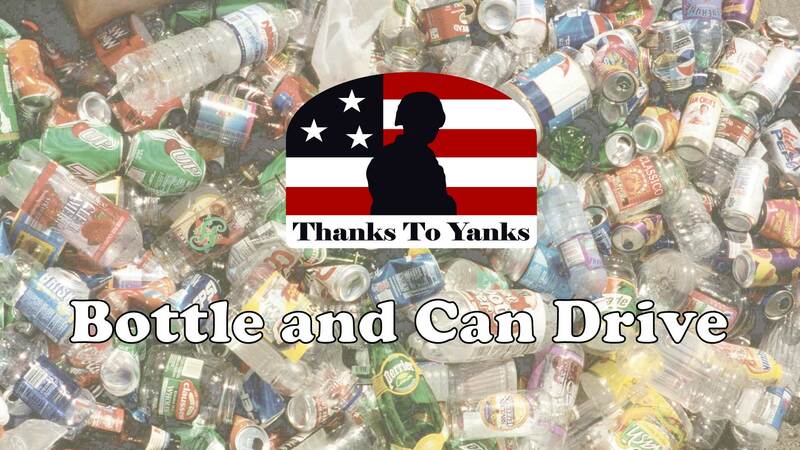 Thanks To Yanks will hold a Bottle and Can Drive on Saturday June 24, 2017 from 9 – 1 p.m. at the Tran Redemption Corp (Big Y’s parking lot), 161 East Main Street, Milford, MA 01757. Drop off returnable bottles and cans; we’ll sort them. All monies raised will be used to support the mission of Thanks To Yanks, an all- volunteer, non-profit 501(c)(3) organization committed to providing resources and support to our military members, veterans and their families.